Self-help and all that garbage. You don’t need that. I hear you. 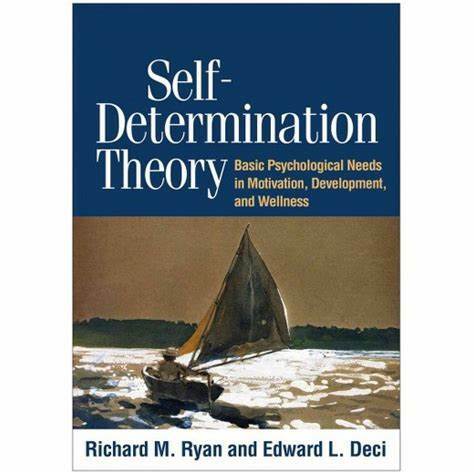 However, Self-determination theory (SDT) might sound like one of those airy-fairy concepts that are being marketed end masse. However, if you spare a few minutes to look under the hood you will find that what it is is a provision of a framework for a deeper understanding of the factors that essentially promote the stimulus to substantiate the maintenance of health – both physiologically and psychologically. With the aforementioned framework come sub-categories, which serve as the foundation that is informed by how each component can be applied to the different phases one passes through during our short and mundane existence. Once rebellion has worn off, one might take a deeper look at their own competencies and how one can improve one’s performance in the realms of work, sports, education and everything in between – that is where this beautifully written tome comes in handy as it bases its approach on a well-calibrated and -explained middle ground between science and tangible proof. Easily accessible in nature, the book is one useful exercise in articulating fascinating treatises which are drawn from philosophical and psychological perspectives and culminate in a valuable compendium of theories. A compendium which aid sin researching the common application of relevant theories of self-discovery, e.g. perspectives on development and how they changed throughout the ages, philosophical perspectives as well as the intrinsic deciding factors and values of what drives our stimuli, the essence of self-esteem and authenticity as well as the creation of conducive environments to satisfy elementary psychological needs. In a subtle manner, merely reading and actively engaging with the content boosts productivity and coming from an angle that very much zeros in on the satisfaction of what nurtures our very being, it helps to optimise a launch pad for motivation to grow and expand on an on-going basis.